When will be The Herd with Colin Cowherd next episode air date? 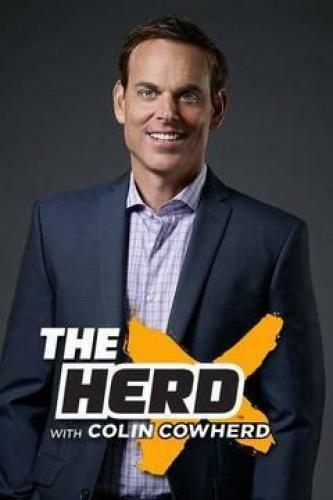 Is The Herd with Colin Cowherd renewed or cancelled? Where to countdown The Herd with Colin Cowherd air dates? Is The Herd with Colin Cowherd worth watching? After building up a following -- and, at times, controversy -- for over a decade at ESPN Radio, opinionated host Colin Cowherd has brought his midday talk show, The Herd with Colin Cowherd, to the FOX Sports family. This FS1 simulcast of the daily FOX Sports Radio program features Cowherd's sometimes-polarizing, but always-bold, commentary on the latest happenings in the world of sports... and beyond. He also welcomes athletes, analysts, beat writers and other guests to share their thoughts on the hot topics of the day. Veteran broadcaster Kristine Leahy joins the show as a contributor. With the move to FS1 also comes a move back to the West Coast for the Washington-born Cowherd, who hosts the show in Los Angeles after being based in Connecticut at his previous employer. The Herd with Colin Cowherd next episode air date provides TVMaze for you. EpisoDate.com is your TV show guide to Countdown The Herd with Colin Cowherd Episode Air Dates and to stay in touch with The Herd with Colin Cowherd next episode Air Date and your others favorite TV Shows. Add the shows you like to a "Watchlist" and let the site take it from there.